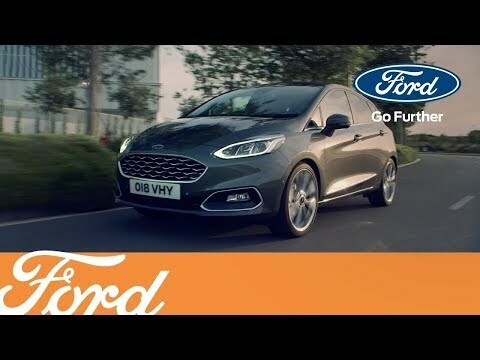 As one of the nation’s favourite brands, Ford has enabled people to get the most out of driving for more than 100 years. Now Ford Technology has released a host of new and intelligent tools that enhance the driving experience to make it safer, easier and more entertaining than ever before. B&O PLAY is the latest addition to the marque’s technology. In partnership with Bang & Olufsen - a prestigious brand in music technology - new Ford models can now benefit from a surround-sound music experience that surpasses all of the previous designs. The Ford Fiesta was the first ever car which offers this exclusive collaboration with Bang & Olufsen, delivering a richer or engaging in-car audio experience. The Ford EcoSport is the second model to receive this premium quality sound system. Specialist tuning provided by B&O engineers carefully crafted the interiors and tailored the speaker placement and calibration so that no matter the driving conditions, or where you sit in the car, you have the best experience possible. B&O PLAY is an amazing design that lets drivers play their favourite tunes through a clean and powerful music system for a superior sound. Innovative design from Bang & Olufsen makes it a perfect partnership with Ford, who are always striving to provide the best experience for drivers. This high-quality audio system provides a premium sound throughout the cabin for all passengers to enjoy. Built into the car’s dashboard, B&O PLAY is easy to navigate. Volumes and settings are also easy to adjust as you are driving, allowing you to find the perfect volume on the go. With this high-quality sound system driving will never again become a chore, and you can get lost in the soundtrack to your route. Whether you listen to classical or hip-hop, B&O PLAY will allow you to hear your music like never before. It's time you experience the pinnacle of in-car audio. See the sound system in action from our very own Dominic Meakins, who is based at our Eastbourne Ford branch, by following us on Facebook. Better yet, visit us in branch to experience the all-new sound system, and take the Ford Fiesta for a drive.